If you were a human resource manager, what would you do to strengthen your enterprise’s human resource management (HRM)? You would surely face lots of employee data or details like name, title, department, photo, salary, performance rating etc. Don’t panic, now we gonna check out together some of the great fully customizable org chart with photos templates based on specific measurements. Feel free to click on any of them to see details. 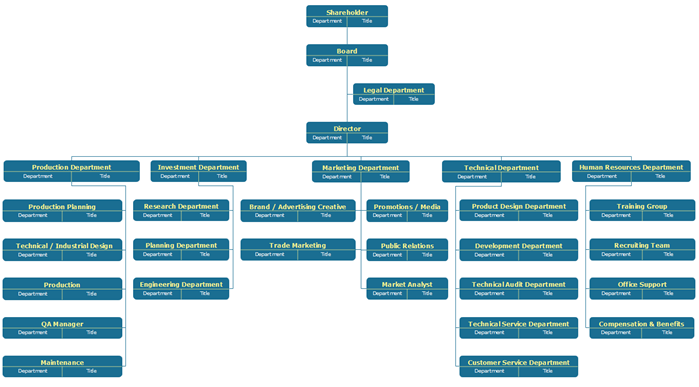 This org chart template here shows you a department or a startup with employees’ name, title, and photos. This is useful when you need to find workmates from other divisions or you wanna know more about the duties of your teammates. 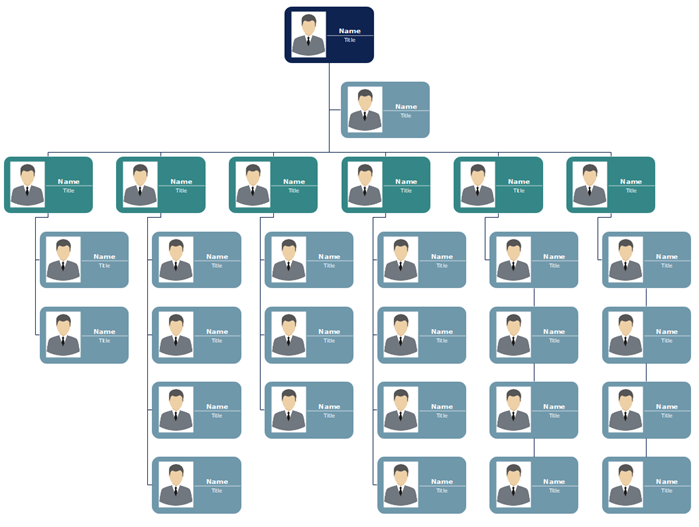 Enjoy all of these great fully editable org chart template Visio alternatives to business and public services uses by clicking on them. 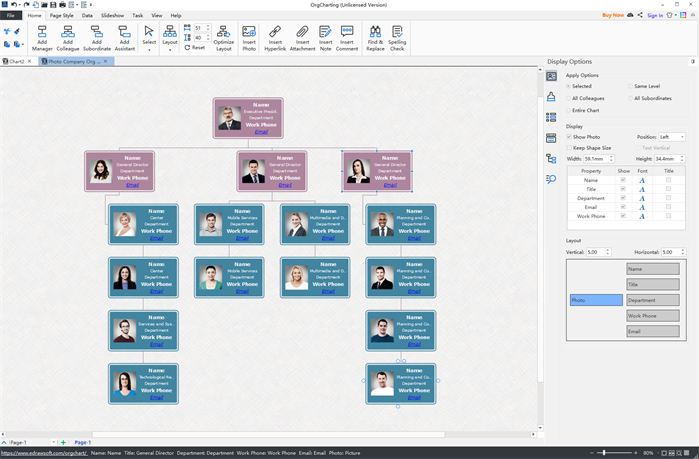 Besides stylish org chart creations, you can explore more effective settings for human resources management like employee performance rating, salaries, FLSA Counts, employee details etc. Here shows an overall pattern of a typical large-scale firm. 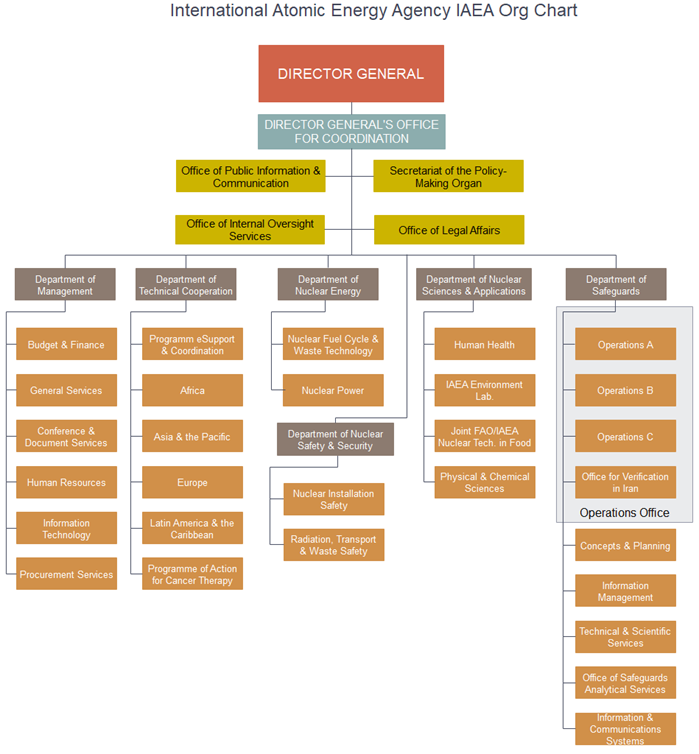 You can easily notice the hierarchical organizational structure based on different key departments along with the names and titles of employees. 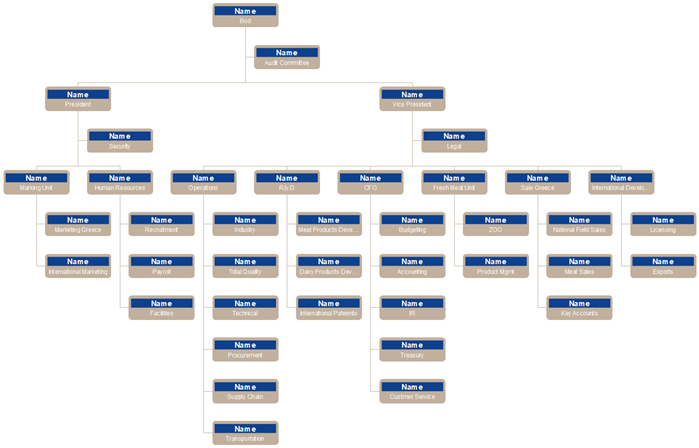 An org chart shows an enterprise’s workflow and authority structure. 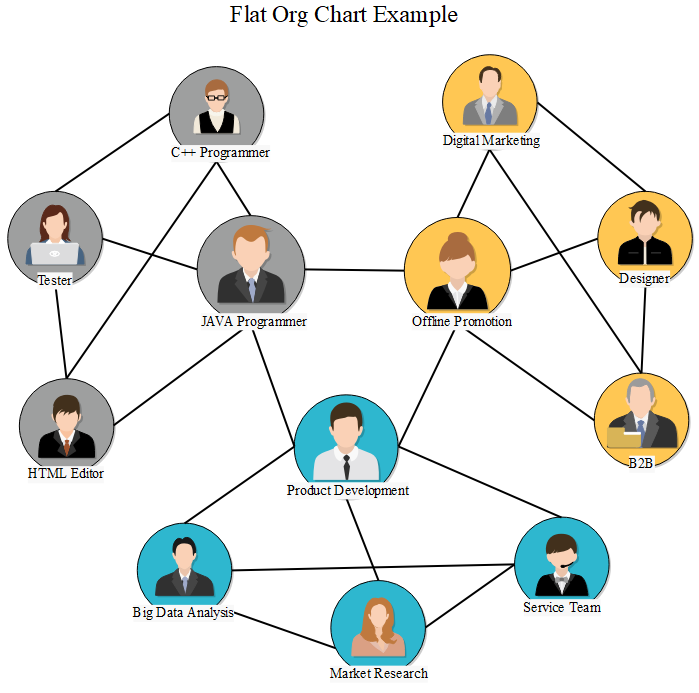 Normally, organizations in the world can be categorized into hierarchical and non hierarchical ones. 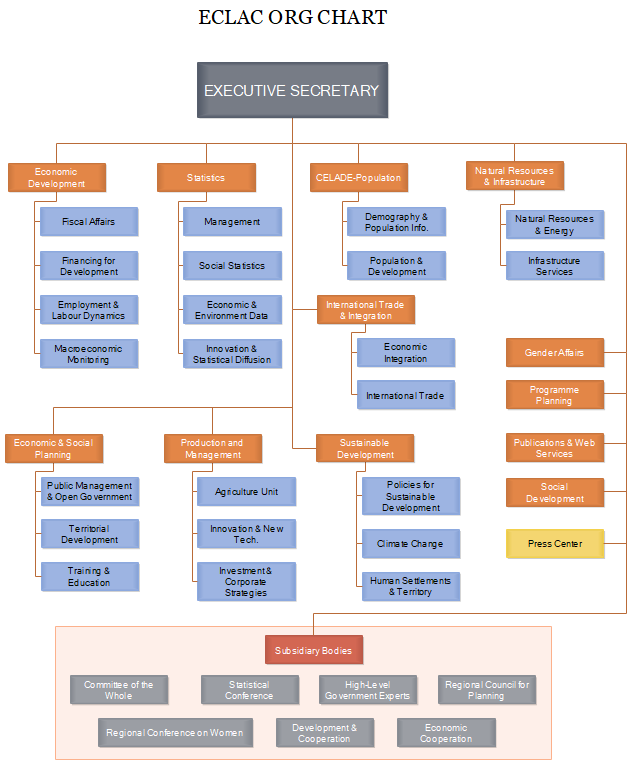 The hierarchical org chart type accounts for the majority of the worldwide corporate framework of business organizations, while a non hierarchical organization has fewer centralized authority with fewer management levels. In the following example of a technology startup, each member in their own department has equal authority and power. Moreover, one member is selected from each department to collect and share info with other departments. 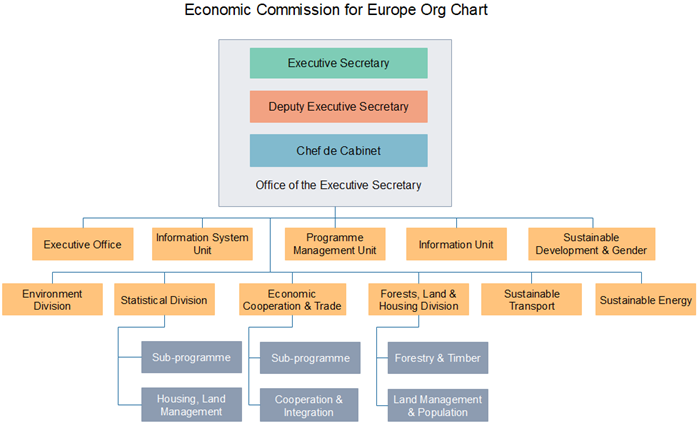 The UNECE org chart below shows the general structure of the United Nations Economic Commission for Europe, which is one of the five important regional commissions of the UN. The UNECE org aims to achieve high-standard economic integration within the 56 member countries. The Commission also welcomes countries from other continents to join their work, such as some non-governmental parties. The Economic Commission for Africa ECA was set up by the Economic and Social Council of the UN organization. The commission is one of the United Nations’s dominant regional departments. The key purpose of ECA is to improve the economic and social development and integrations of member countries in Africa. Currently, there are over 50 members in the commission. 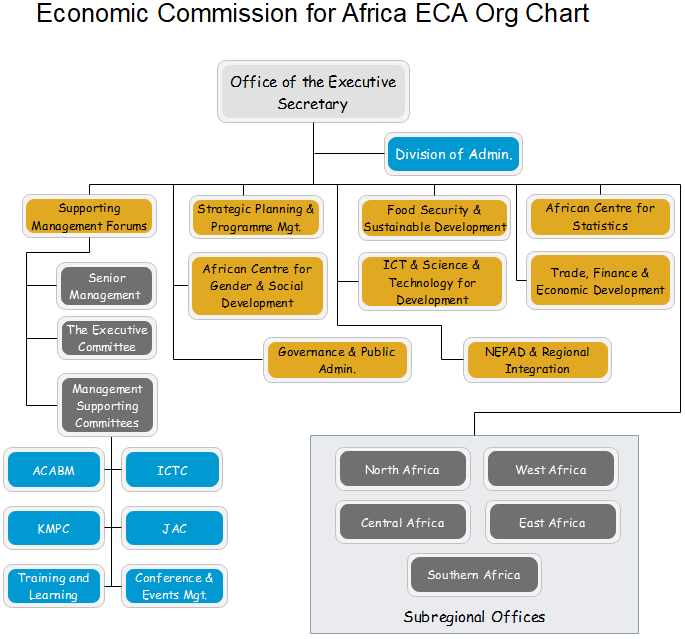 You can find out more details of the Economic Commission for Africa org by checking out the below chart. The International Organization for Migration (IOM) is a world-leading organization for migration issues. It is part of the UN organization with nearly 170 member countries. There are several dominant duties of the institution: humane management of migration, international migration cooperations, migration research, the development of migration guidance and policies, the health management of refugees and displaced people programs and so on. 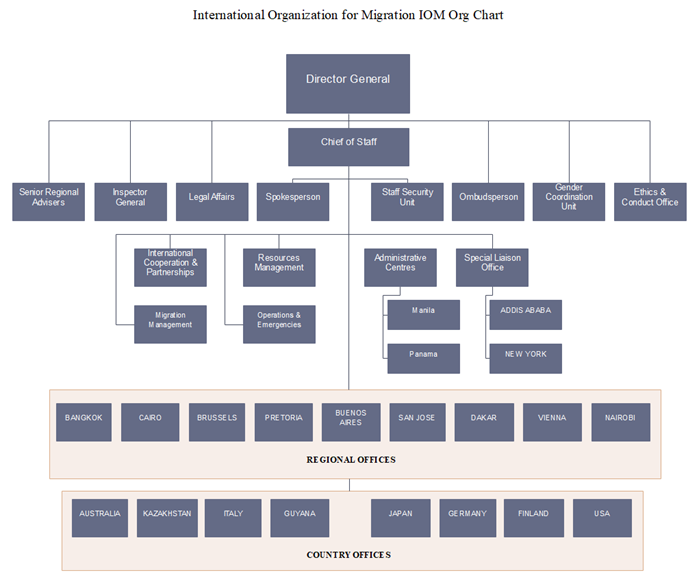 Feel free to know more about the International Organization for Migration by hitting on the below IOM org chart.